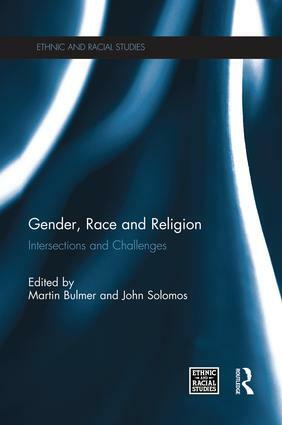 Gender, Race and Religion brings together a selection of original papers published in Ethnic and Racial Studies that address the intersections between gender relations, race and religion in our contemporary environment. Chapters address both theoretical and empirical aspects of this phenomenon, and although written from the perspective of quite different national, social and political situations, they are linked by a common concern to analyze the interface between gender and other situated social relationships, from both a conceptual and a policy angle. These are issues that have been the subject of intense scholarly research and analysis in recent years, as well as forming part of public debates about the significance of gender, race and religion as sites of identity formation and mobilization in our changing global environment. The substantive chapters bring together insights from both theoretical reflection and empirical research in order to investigate particular facets of these questions. Gender, Race and Religion addresses issues that are at the heart of contemporary scholarly debates in the field of race and ethnic studies, and engages with important questions in policy and public debates.